When an opponent discards a card, this card gets +1 power until the end of the turn. "Just point me at the problem and I'll be there. 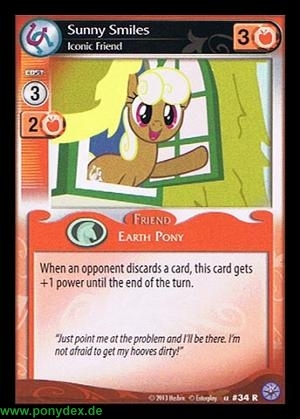 I'm not afraid to get my hooves dirty!"